KAMPALA – A scrap dealer accused of stealing copper cables belonging to Uganda Telecom Limited (UTL) has accused officers at Special Investigations Unit in Kireka, Kampala, for torturing him in a bid to extract a charge and caution statement from him. Mr Fredrick Mwambu, 34, appeared in a Buganda Chief Magistrate’s session presided over by magistrate, Gladys Kamasanyu and objected to state tendering in his charge and caution statement, asserting that he was forced to sign on the statement. Mr Mwambu is facing charges ranging from damaging or tampering with installation, theft and conspiracy to commit the offence of theft. During cross-examination by state attorney Janat Kitimbo, Mwambu insisted that all the details were concocted by police officers who later forced him to endorse the statement. “Before signing the charge and caution at police somebody handcuffed and caned me. I started passing blood in urine because my spine was also spanked. Days before officers at Kireka took me to court, they brought in a doctor who gave me some tablets,” Mr Mwambu said. He said he was remanded at Kawuga Prison in Mukono district where he continued to receive treatment. This moved Ms Kitimbo to seek court to order prisons authorities to produce Mr Mwambu’s medical reports for court to ascertain if he was indeed tortured. Mwambu was reluctant to agree with the state’s request, claiming that officers from prisons cannot give truthful reports pinning police as they are confidants. The trial magistrate, Ms Kamasanyu, granted the state’s request to order prisons to bring Mwambu’s medical reports. The prosecution contends that Mwambu, Katabira, Wetaka, Onyangaia, Mugabi and others still at large on the night of October 20, 2018, at Wandegeya a city suburb damage, removed and tampered with approximately 250 metres of A 600 copper core cable, the property of UTL. It alleged that the accused stole the copper cables valued at Shs 33,652,000. 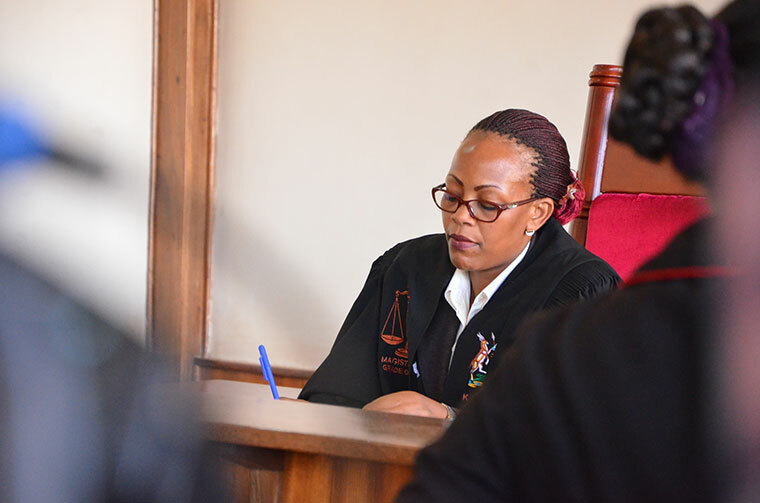 On the count of conspiracy, it is alleged the accused person still in Wandegeya conspired to remove and steal the cables in question property of UTL. Court adjourned the matter to April 8, for hearing.